Shenzhen mingyang digital technology co.,ltd supply spare parts for Chinese solvent printer like Gongzheng, Liyu,, infinite, Zhongye etc. 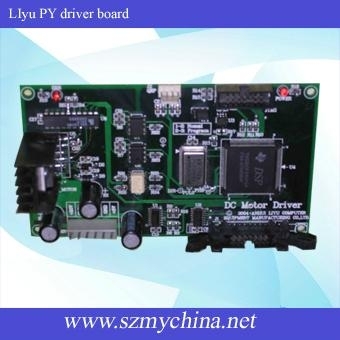 Such as main board, carriage board, pci card, IO board, filter, ink pump, driver board, ink tube, data cable, encode strip, servo motor, step motor etc .We also offer xaar128 print head, high quality ink and other material for solvent outdoor printer. Welcome to ask us for father information.